Mission: A SWAP residency offers you time, space and resources to dig into making new, experimental work. Have an idea you’ve wanted time to develop? SWAP helps make it happen. We offer SWAP Residents honoraria, studio space, a materials budget, and dedicated time and support to produce and show new work. We also help you build relationships that can help you further your career. And then, you get a unique opportunity to interact with artists from around the world who you probably haven’t met before. The SPACES World Artists Program (SWAP) is a residency program for international, U.S. and local artists, founded in 2002 to foster cultural exchange between audiences in Northeast Ohio and artists from around the world. 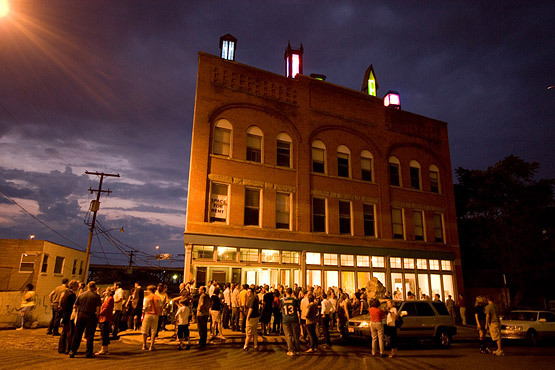 SWAP residencies are intensive opportunities for experimental artists to produce and present new work, within the unique cultural context of a post-industrial city in the American Rustbelt. 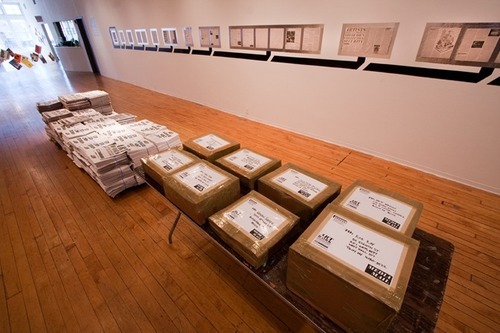 SWAP artists create new, experimental works for the public during their residencies. SWAP looks for artists who are doing innovative work that has a strong conceptual center. This work can be in any media, object-based or social practice—installation, performance, sculpture, sound, video, multi-disciplinary, etc. 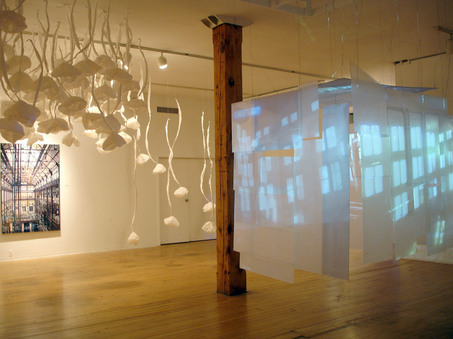 SPACES helps facilitate the artist’s vision, by assisting with locating materials, and introducing them to area artists, curators and community members. Each residency culminates with a public presentation of the new work, and a video catalogue of their work, including commentary from a respected critic. Cost: SWAP provides travel and housing for non-local residents, and studio space, materials, publicity and an honorarium for each resident. Accommodations: SWAP provides travel and housing for non-local residents, and studio space, materials, publicity and an honorarium for each resident. Length of Stay: Residencies range in length from 2 weeks to 2 months (or more). The length varies, depending on the scope of work a resident would like to complete during a residency. We negotiate this after an artist is accepted to SWAP. Honoraria amounts also vary depending on the scope of the work and length of the residency. Demographic/Medium: SWAP supports artists who explore and experiment. Artists can work in any media, but no matter what you use, SWAP looks to support artists who are innovating and whose work has a strong conceptual center. International artists and U.S. artists who reside outside of Northeast Ohio are only invited to apply to SWAP if nominated by one of our partners throughout the world. Any candidate who has not been specifically invited to apply is ineligible. Artists From Northeast Ohio: Artists from Northeast Ohio* can apply to SWAP by filling out the application, or may be invited to apply after being nominated by a SWAP partner. 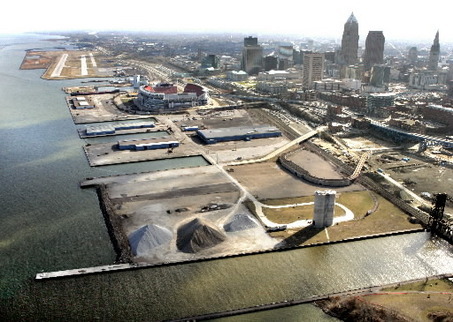 Northeast Ohio artists cannot be enrolled in undergraduate or graduate degree programs at the time of a SWAP residency. * Ashland, Ashtabula, Columbiana, Cuyahoga, Erie, Geauga, Holmes, Huron, Lake, Lorain, Mahoning, Medina, Portage, Stark, Summit, Trumbull and Wayne counties. Posted in Ohio, SPACES, UncategorizedTagged 2 months, 2 weeks, American Rustbelt, area artists, around the world, art residency, Artist Residency, Ashland, Ashtabula, career, Cle, Cleveland, Columbiana, commmentary, community members, Conceptual, Cool Cleveland, County, critic, cultural context, curators, Cuyhoga, Erie, experimental, experimental artists, explore, Fellowship, Geauga, Holmes, honorarium, housing, Huron, interact with artists, International, intstallation, Invitation Only, lake, local, locating materials, Lorain, Mahoning, materials, materials budget, materials fellowship, materials stipend, media, Medina, multi-discplinary, national, new work, Northeast Ohio, object-based, Ohio, Performance, Portage, post-industrial city, present new work, produce, public presentation, publicity, Rate My Artist Residency, relationships, residency, resources, Sculpture, Social Practice, Sound, space, spaces, Stark, Stipend, strong conceptual center, studio space, Summit, support, SWAP Residency, time, travel, Trumbull, unique opportunity, Video, video catalogue of work, Wayne, workBookmark the permalink.